I'm not sure if they can be dimmed...the instruction are kinda unclear about the dimmable lighting mode. "Dimmable: In this mode, the white wire is used to set the intensity of the dial lighting from full brightness down to off." I'm not sure if that means they are dimmed or if it just turns off the lights. 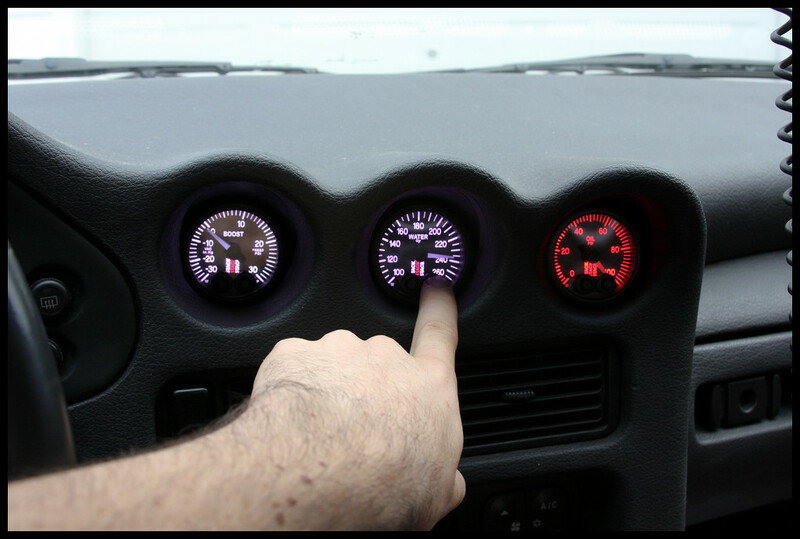 You can also choose the color of the gauges during normal operation (not in warning mode), I just like white. But you can choose from red, green, yellow, blue, purple, turquoise and white. Last edited by SilverJester; 09-20-2010 at 11:45 AM. Looks good! 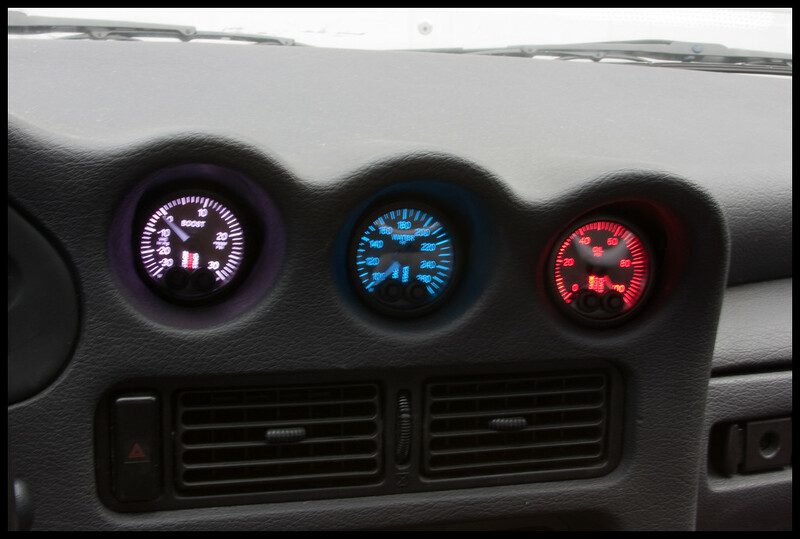 Where did you get your main gauge cluster overlays? OK, thats what I thought. Are they only indigo or can you get them to display in pure white? 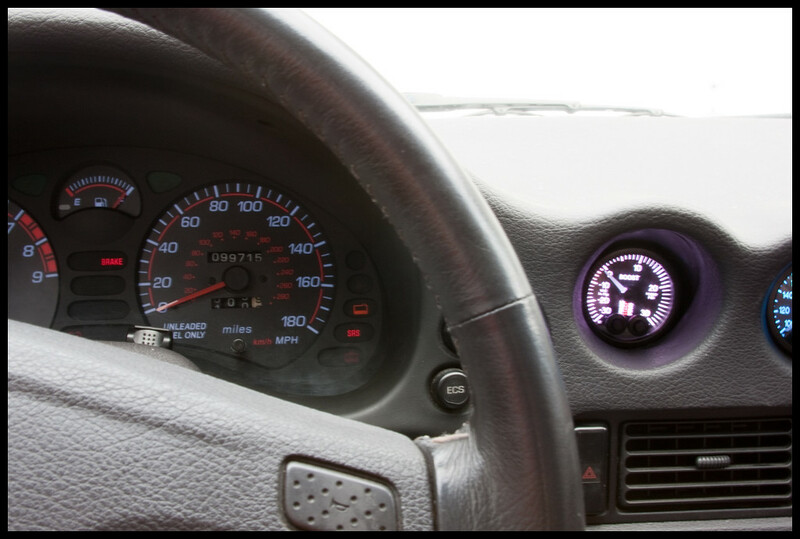 Interesting to note that the oil pressure gauge uses an autometer sensor. The water temp was was right on with my data logger. STACK FTMFW. Did you find these in that other thread? lol, I thought I was the only one with a 3s that wanted these. How was the install, besides the unclear bits in the instructions? I emailed stack (tried calling and they didn't have tech support, just an automated message). I'll play around with the white wire that is suppose to dim and/or turn off the lights this weekend when I have some time. 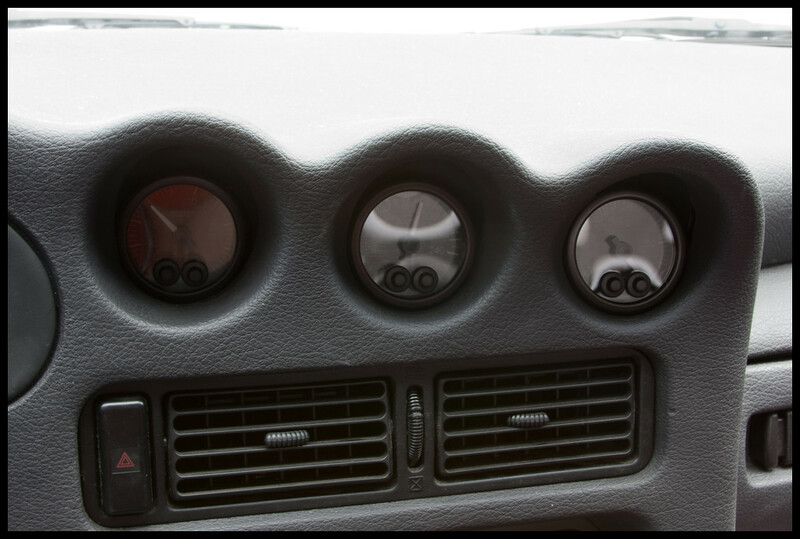 Each gauge has a fair amount of wires in the "harness" 9-10 wires. But they don't come wrapped together. So I spent a good amount of time taping up wires together to form a neater harness. But aside from that, the install was easy. Ok, sweet. I'm wondering if there's supposed to be a resistance put on that wire, or fed the voltage from the dimmer rheostat... I wouldn't pump voltage into it until you know for sure, lol. Sounds like a pretty easy install, thanks!